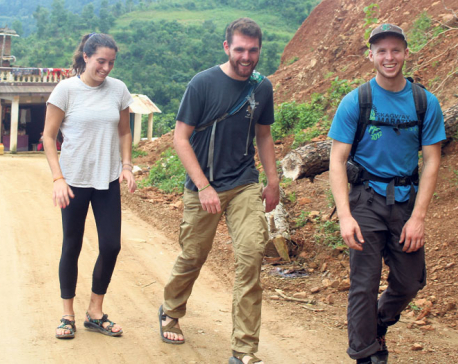 KATHMANDU, July 12: Rasuwa district is one of the popular destinations for foreign tourists. Based on foreign tourist footfall, the district should have been in government's priority while allocating budget for district-wise tourism infrastructure development projects. But such is not the case. Only Rs 100,000 has been allocated to Rasuwa district under Tourism Infrastructure Development Project for the next fiscal year. Surprisingly, Gulmi, which holds little significance for foreign tourists, has been allocated a whooping Rs 35.7 million - that too for petty projects, according to the annual development program for next fiscal year prepared by the Ministry of Culture, Tourism and Civil Aviation (MoCTCA). Ministry officials privy to the issue said CPN-UML leaders Pradeep Gyawali and Gokarna Bista, who hail from Gulmi, influenced the ministry to allocate more budget for the district. Funds have been allocated for projects like repair and maintenance of temples, and building public parks, toilets and few trekking routes. Almost all the projects have been allocated less than Rs 1 million, indicating that the projects won't be much effective. Rupandehi and Syangja come in second and third position with allocation of Rs 24.9 million and Rs 22.7 million respectively. MoCTCA officials say they were not involved in project selection.“"More than half of the projects select in different districts have been removed. New projects were inserted in the direction of the Ministry of Finance as dictated by Finance Minister Paudel and his team”" a highly placed official of MoCTCA said, seeking anonymity. Minister Paudel was born in Syangja. He later migrated to Rupandehi. Paudel was elected to the parliament from the same district. Though Lumbini - the birthplace of Lumbini - lies Rupandehi, the official say budget allocated under tourism infrastructure development project is not meant for Lumbini. There are separate projects worth Rs 670.5 million for Lumbini. 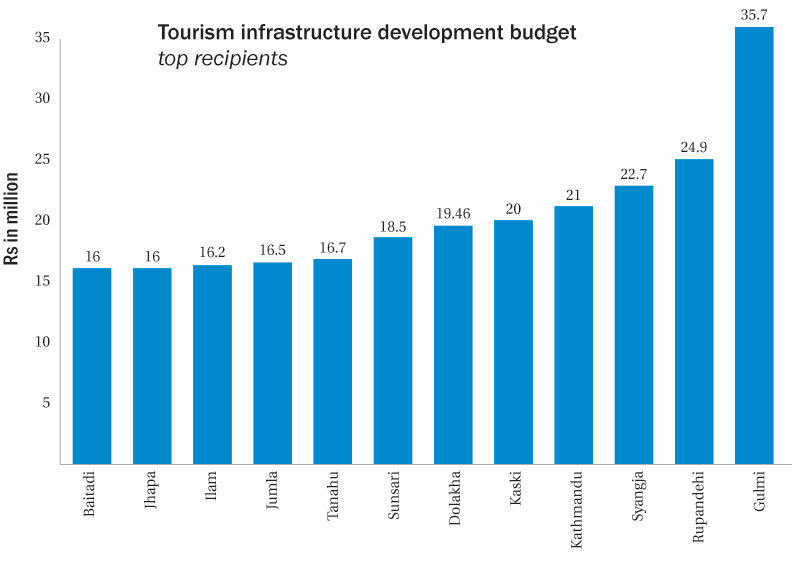 Kathmandu and Kaski are in fourth and fifth position in terms of budget allocation for tourism infrastructure projects. Dolakha, the home district of tourism minister Ananada Prasad Pokharel, is in the sixth position. Likewise, Sunsari, Tanahu, Jumla, Ilam, Jhapa and Baitadi are among the districts that have received higher budget allocation for tourism infrastructure projects. Jhapa is the home district of Prime Minister KP Sharma Oli, while Minister of State for Finance Damodar Bhandari hails from Baitadi. Investment in tourism infrastructure development in these districts, except Kathmandu and Kaski, does not hold rationale. Government's policy and programs have always put tourism in high priority. But this is not reflected in budget allocation for tourism infrastructure projects. Political and bureaucratic influence often affects budget allocation. Solukhumbu, Chitwan, Lamjung, Manang, Mustang, Bhaktapur, Lalitpur and Kavre are important districts in terms of foreign tourist footfall. But budget allocation in these districts is negligible compared t their contribution. 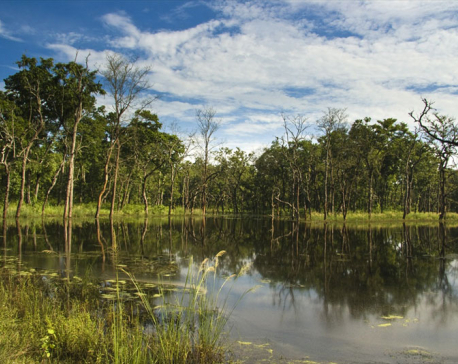 Chitwan has been allocated Rs 11.3 million. But other districts have been set aside less than Rs 10 million each. Sudarshan Prasad Dhakal, director general of Department of Tourism, admitted that budget allocation for Syangja is higher than that of Kaski. "We are thinking of reviewing the allocation for Syangja," he said. He, however, added that project selection and funds allocation was done on the recommendation of 13 tourism development committees and regional tourism offices.“"We have very little space to play”" Dhakal said, adding that allocation in district-wise programs have also been harmonized with other allocations in the districts. Two weeks ago, Nepali Congress lawmaker Ram Hari Khatiwada had raised the issue in the parliament, blaming the ministers and political leaders of allocating budget breaching the basic principles of priority-wise allocation to woo voters. Tourism Minister Pokharel did not respond to calls made by Republica for his comment on the issue.